Effective governance is the bridge to operationalizing strategy in a planned and scalable manner. I think I have finally discovered the No. 1 success factor for healthcare contact centers. It is governance! TheFreeDictionary.com defines governance as “the persons (committees, departments, etc.) that make up a body for the purpose of administering something.” The “something,” in this case, is healthcare contact centers. Healthcare contact centers are relatively new to today’s contemporary contact center business and have a history of “emerging” by default rather than by design. This is especially true of large healthcare “systems” comprised of multiple owned hospitals and private practices across a geographic territory. Many operational and management models that exist today have emerged from the somewhat outdated yet familiar model employed within hospital operator services. Historically, the most familiar contact center environment in healthcare has been operator services. Operators ran the telecommunications department and fielded all inbound telephone calls. There were no direct lines, no voice mail, no IVR menus or auto attendant, and no internet! Healthcare operators were modeled after operators employed within the telephone companies of the time. These were high-demand environments designed to “catch and toss” the calls. The technology was advanced for the time and the management style militaristic. It was a factory-like production environment until the 1980s and the arrival of digital telecommunications technology. As more departments became equipped with automatic call distribution (ACD), they were able to handle their own demand. Operators loved it because there would no longer be busy signals at the department and the process would be more efficient. Another early adopter of the healthcare ACD was billing and finance. This was an easy acceptance since getting calls answered in billing often led to revenue collected and mitigated issues. However, the reality was that many ACD technology deployments were made without understanding the dynamics of proper staffing, scheduling, and reporting. The ACD was welcomed more as a “parking lot” for calls than as a strategic tool. I have seen healthcare embrace ACD deployment at a rapid pace over the past 10 years and many deployment methods illustrate my “default rather than design” opinion. This condition is in part due to the lack of properly planned governance. Today, we see centralized scheduling contact centers that book appointments for primary and specialty care. There are also centralized answer contact centers that frontend all calls directed to a practice. In all, many centralized functions are performed: appointment scheduling, preregistration, referrals, nurse triage, care coordination and prescription refills. This leaves the practice to function within a purely clinical environment. As well, centralized marketing contact centers provide campaign management, class registration and education services. The models are varied and without proper governance the issues can be many. Governance occurs when the executive team understands the strategic value of its healthcare contact centers and wants to assure that its value is realized. Governance becomes very significant as many contact centers begin to emerge across the healthcare system and leaders see that “no one is in charge” of them. Yet, these centers serve as a significant point of ACCESS to the system’s physicians and services. Today’s healthcare contact centers are often part of strategic initiatives around growth, ACCESS and the patient/customer experience. Yet many systems find themselves proprietors of what I like to call a “constellation” of contact centers that seem to have simply “appeared” across the footprint. Without governance oversight, critical operational and management decisions are made independently and often without careful planning and collaboration. Consider the acquisition and deployment of ACD technology as an example. The ITTelecom team often sees ACD technology as a means to reduce stress around answering calls. Accordingly, it is recommended that an ACD be installed to “manage” demand. While the ITTelecom team is masterful at technology, most lack expertise and skill in actual contact center operational management. This is evidenced by such actions as restricting access to the ACD system and forcing contact center managers to “open an IT ticket” for the most basic of tasks. Does your contact center have to open a ticket to adddeletechange an agent, adddeletechange an agent’s skill, or run a report? If so, your IT department has effectively eliminated the contact center’s ability to optimize or realize the actual value of the ACD’s flexibility. What do these challenges have to do with governance? Effective governance at the executive level is the bridge to operationalizing strategy in a planned and scalable manner. It is the best avenue contact centers have to disrupt internal obstacles to optimization and efficiency that are requisite for improving ACCESS and the patient/customer experience. When healthcare systems look at their contact center infrastructure through the lens of ACCESS and the patient/customer experience they are essentially peering into operations. This is where it is both difficult and critical for governance to be strong. 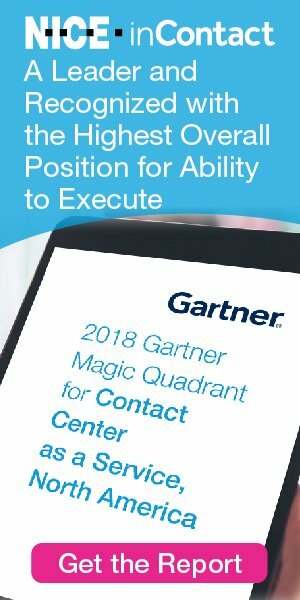 I had a colleague who once told a governance group that was weakening under the pressure of complaints from constituents involved in a contact center centralization that the time had come to “stop listening and start leading.” He reminded his executive peers that they were the ones who architected and funded the change. They had the responsibility to the program itself to stop coddling the complainers and challenge them and themselves to address the difficult operational challenges and disruptive changes they all had to face to achieve the goal. Governance can address key operational issues that are sure to come up when considering how to optimize contact centers in healthcare. Think of areas like facilities. If the governance group wants the contact center to be considered important, an environment central to the achievement of strategic goals must be designed. It may want to reconsider stuffing the contact center in the windowless basement or other ill-suited environment. Contact centers need facilities that can support them: ergonomically designed workstations, break rooms, dedicated training rooms and adequate restroom capacity. Public transportation and/or free onsite parking aid in both recruiting and retention. Governance has the ability to streamline and standardize processes. No centralization project team has the influence to change the way physicians schedule their appointments. Scheduling protocols have long been the bane of centralized scheduling. Each physician, even within the same specialty, has a unique set of “rules” for appointment scheduling. Exceptions or special requests must be routed back to the practice for “permission.” Anyone living this knows the damaging effect this process has on both ACCESS and the patient/customer experience. However, a project manager is not in the position to influence or require that this “previously protected ritual” be changed to better meet objectives. It takes the chief medical officer or similar leader to work with physicians and adjust protocols to better meet the needs of patients and the system. Governance also has a loud voice in resolving budget issues. One of the biggest issues we see is when appointment scheduling is centralized within a contact center, but the practice “pays for” the resource. In fact, a person is sometimes moved from the practice to the contact center without the appropriate understanding or training requisite to success. The issue seems obvious; yet this model is common in systems where governance is poor. These environments often service multiple practices and physicians organized within small groups. The funding limits crosstraining and it is not unusual to find display boards showing several calls waiting in one group and multiple people available in others. While this makes no sense, the funding issue is one that simply cannot be resolved crossfunctionally. The governance group must take the helm and enable the contact center operation to stand on its own. Governance is also the only avenue contact centers have to truly innovate their support functions. Far too many believe that healthcare contact centers must be either centralized or stand-alone. I disagree. Healthcare is the consolidation of multiple business activities under one umbrella. It is everything from information, appointments, finance, billing and inpatient services to outpatient services such as tests, surgery and urgent care. Healthcare is incredibly unique when it comes to contact centers and it does not require a single design option. Governance is the only avenue where new and unique approaches can be considered and deployed. Consider the added benefits of a contact center shared services/business operations group. This group can provide a solid set of support activities based on governance decisions and standards around contact center management. Imagine the benefits of consistent practices around resource planning, workforce management, KPIs, business analytics, quality program management and ACD configuration management. Healthcare contact centers create a kind of “intangible” value for the systems they support. It is a value that can only be realized if backstage, operational underpinnings are scalable and stable. No peer-to-peer group can accomplish this. Only strong and strategic governance can!